A fireballthat lit up the sky over parts of Texas early Sunday was not caused by debrisfrom a satellite collision last week, and more likely stemmed from a falling meteor, Federal Aviation Administration (FAA) officials have said. Thefireball, which appeared over a wide swath of Texas, loosed sonic boomsthat rattled windows and shook houses, according to reports from residents whocalled their local law enforcement agencies. A similar sighting was reportedlate Friday over parts of eastern central Kentucky. FAAspokesperson Roland Herwig told the Associated Press that the fireballwas most likely created by a natural phenomenon and not man-madesatellite debris. Over theweekend, FAA officials said the Texas fireball could possibly have been sparkedby re-entering debris caused duringthe Feb. 10 collision of a U.S. Iridium communications satellite and adefunct Russian military satellite. 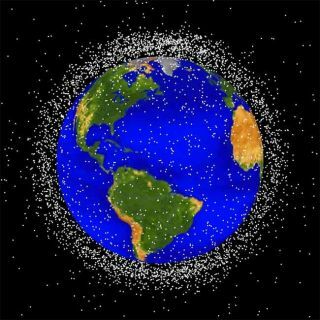 The rare, and devastating, smash-up createdtwo large clouds of debris made up of hundreds of individual pieces of wreckagethat are currently being tracked by the U.S. Defense Department?s SpaceSurveillance Network. The network continuously monitors the more than 18,000 man-madeobjects in Earth orbit. The FAA released several weekend advisories to pilots warning of the potentialhazard of falling satellite debris. Those advisories were cancelled Sunday, Herwigsaid. PrestonStarr, the observatory manager at the University ofNorth Texas, told the Associated Press that Sunday?s fireball waslikely caused by a meteor streaking through Earth?s atmosphere at between 15,000mph and 40,000 mph. The object would have been the size of a truck and have theconsistency of concrete, Starr said, adding that such objects burn up in Earth?satmosphere between eight and 10 times each year.